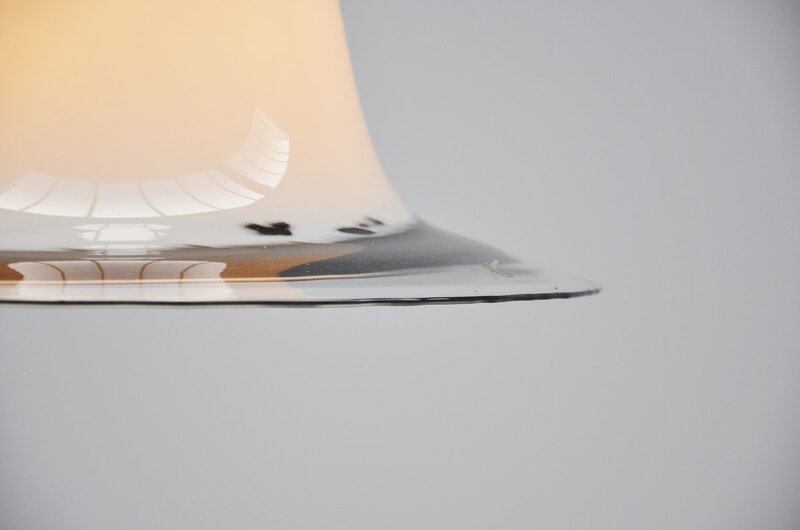 Nicely shaped blown glass pendant lamp made by Peil & Pultzer, Germany 1970. 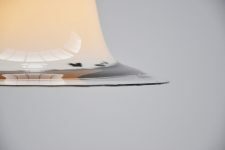 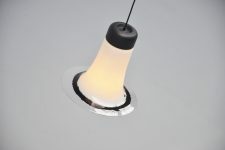 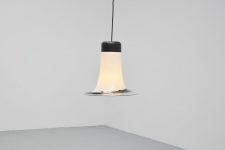 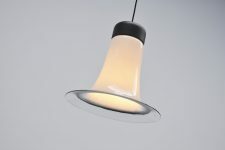 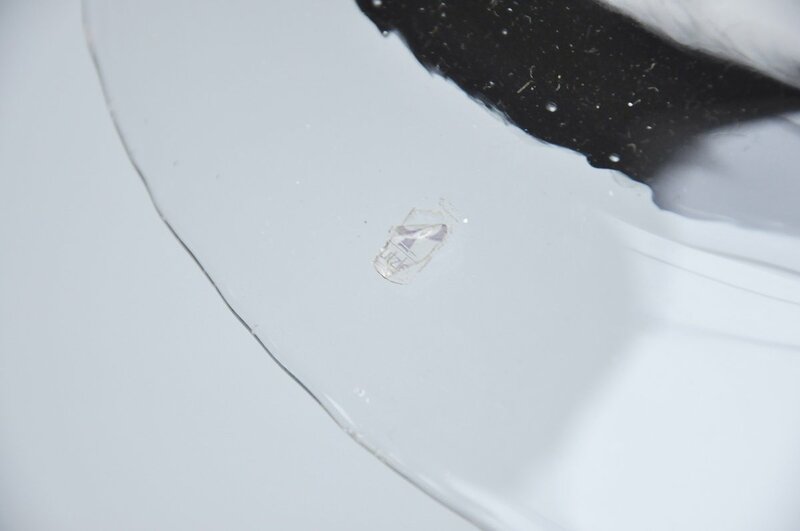 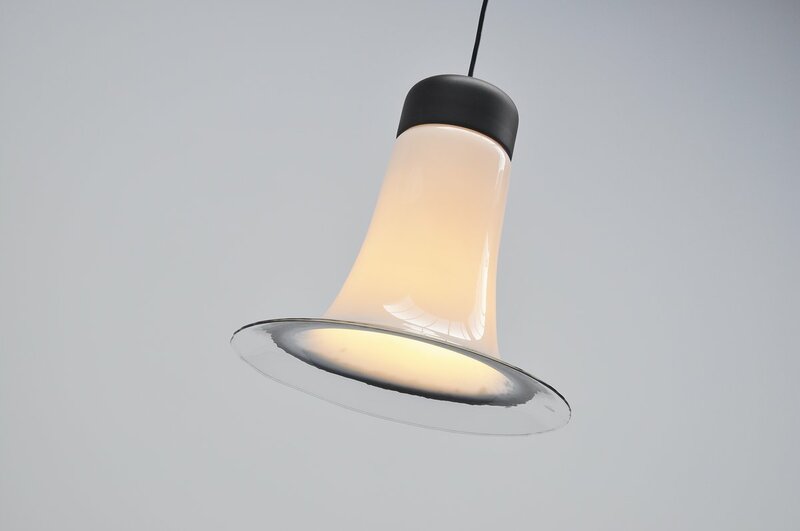 This lamp has a trupet shape and is made of thick blown glass, transparent, white and black. 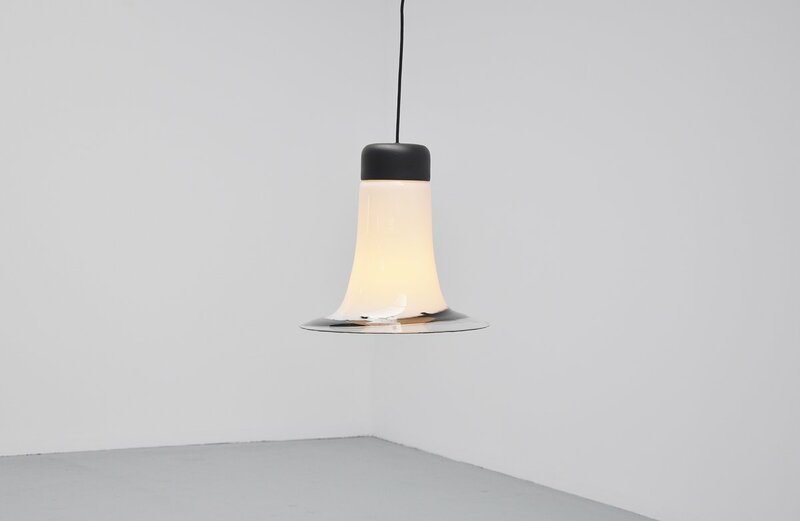 The black lamp holder is in lacquered metal. The lamp gives very nice and warm light when lit and still has the Pultzer sticker on it.